If you are an audio engineer, or aspiring audio engineer, you’ve probably heard that it’s best to mix at low volumes. 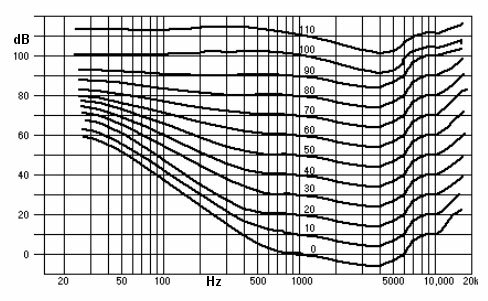 This is because according to the Fletcher-Munson curve, our sensitivity to volume changes at different frequencies. Generally speaking we can hear speech frequencies (2-5khz) over low or very high frequencies at the same dB, and the louder the mix gets, the less of a subjective difference there is between these ranges. Figure A: Here is the Fletchur-Munson curve. If you look at 50 DB , for example, the volume needs to be much higher than 50db in the lower and high frequencies in order to match the perceived same volume at around 1khz. 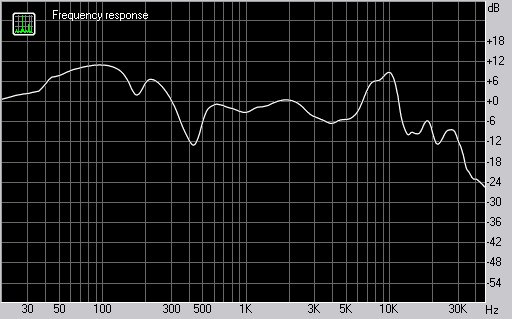 Figure B : A noticeable sibilant spike around 8-10Khz. Hearing these sounds throughout a song sounds very harsh and fatiguing to the ears after time, so at all times must be controlled or tamed in some way. However at a low volume, not many things sound fatiguing or harsh to our ears. You can listen to a 5 Khz tone for hours at a low volume, but on a loud system will drive you nuts after seconds. So when listening for harshness, turn up those speakers, and start de-essing, and eqing away!